Vogue Cigarettes stand out among other cigarette brands with both their appearance and their unique, recognizable taste. These fashionable quality smokes are all about softness - from their soft, eye-catching design to their smooth, pleasant smoke which might happen to be the one you've been looking for. Vogue Cigarettes all-white box design and a tiny branch with leafs painted in different colors - from green to blue, depending on the flavor that's inside the pack create somewhat of a romantic image for Vogue Cigarettes. 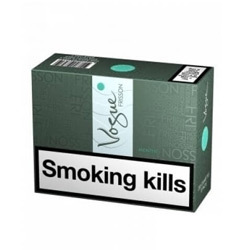 The tobaccos and additives used in Vogue Cigarettes are of the highest quality and the smoke is fulfilling and relaxing. 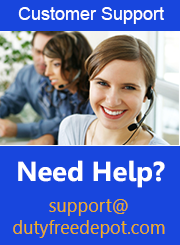 Today worldwide popular Vogue Cigarettes at discount price are a click away from your shopping basket.